We are having an Easter Eggstravaganza! Well, maybe it’s not so much an eggstravaganza but a great portrait special anyway! $55 for the session and 3 sheets of prints! What a steal! 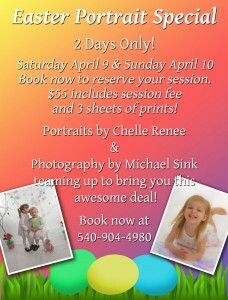 April 9th and 10th only! 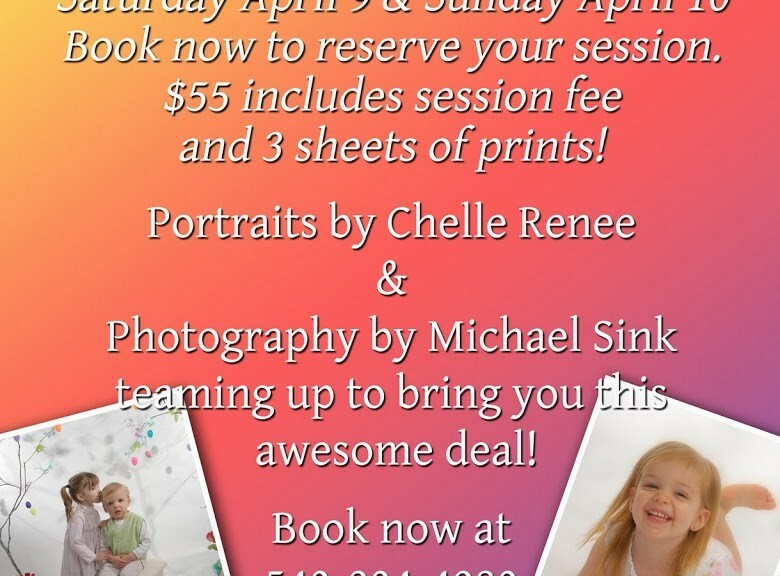 Easter Portrait Special! 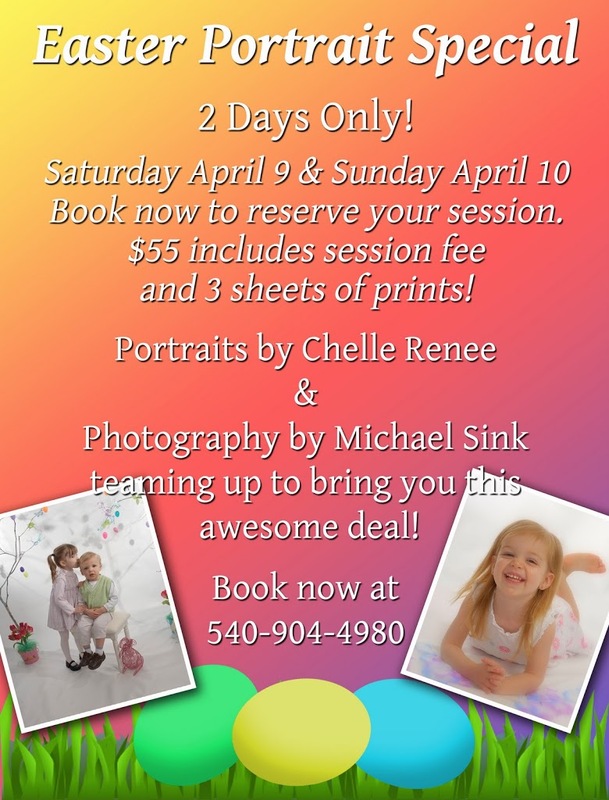 Call 540-871-4035 or 540-904-4980 with your preferred time and date and leave a message to book your session, or email me at info@michaelsinkphotography.com. Book early to lock in your time!